Monthly, Quarterly, Half-Year, and Yearly memberships available NOW! Instructors from all over the globe have been asking for easily ACCESSIBLE and AFFORDABLE resources regarding Equine Assisted Activities to help them better serve their students and continue to grow as professionals. We have heard you....and we have stepped up! 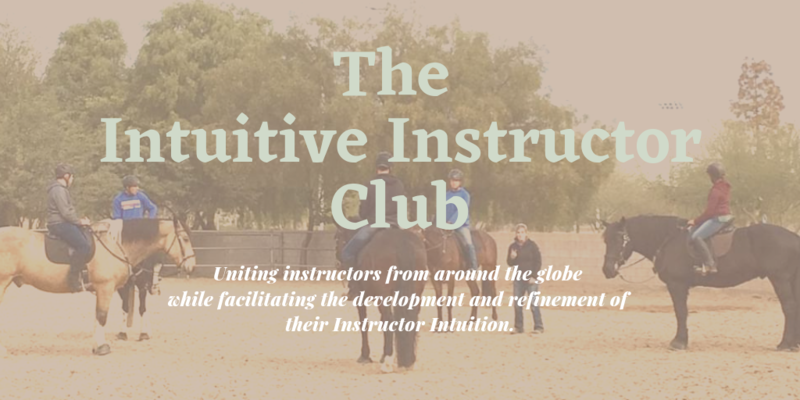 The Intuitive Instructor Club is a COLLABORATION of Professional Instructors! Four instructors from the United States have joined forces in this project- Amy Sheets, Jenny Nell Hartung, Michelle LaFleur, and Saebra Pipoly. Their goal is to provide quality information to instructors that is 'industry best practice' for adaptive (therapeutic) riding and horsemanship and prioritizes safety and well-being of not only the students but also of the equines, volunteers, and the instructors themselves. This collaborative project gives you access to information from MULTIPLE, highly qualified, certified instructors that have thousands of hours of experience teaching a wide range of students from special needs (physical, cognitive, and emotional disabilities) to able bodied (individuals without a disability). View the Instructor Bios at the bottom of this page! If I join The Intuitive Instructor Club, what will I have access to? As a member, you will gain access to the ever growing database of content related to all things adaptive (therapeutic) riding and horsemanship. Information presented through this platform is 'industry best practice"....which means it applies to ALL instructors that work with students that have a physical, cognitive, or emotional disability no matter if you are or are not certified through an organization. In addition to the database of information, you will also be able to interact and network with your instructor peers across the globe as well as resource the lead Instructors collaborating on this project. Members of The Intuitive Instructor Club have access to a private Facebook Group that is a welcoming and uplifting place to share successes, ask advice, and talk with others in our field of work. Why should I join? Is it really worth the money? If you did attend such a gathering, it is a high chance you paid more for that one event than you will pay for a year's membership to The Intuitive Instructor Club. Instructors should always be continuing to grow and better themselves....but we all work, have families, have animals to take care of, students to teach, and volunteers to manage. We know how hard it is to carve out time away from the barn, let alone monetary resources to get quality, professional continuing education. Now you can challenge yourself as an instructor and learn new things from the comfort of your own home and arena! The Intuitive Instructor Club will give you access to resources and networking opportunities that, until now, were only accessible through in-person training or mentorships. Do you want to learn how to do a new type of mount or dismount? Check out the videos! Do you want to learn about teaching techniques that will set you and your students up for success and raise the quality of your programs? Check out the videos! This is an invaluable resource for those who mentor and train new instructors! Do you mentor up and coming instructors and want to give them a well rounded foundation? As mentors we only have so much time and energy and only a limited resource of students and horses. Have your instructors in training become better prepared and more well rounded by studying the content then applying the information in lessons under your supervision! For about half the cost of one riding lesson, or a couple cups of coffee each month....join The Intuitive Instructor Club and invest in YOU. Club memers will gain access to the online learning platform that hosts a growing number of videos and documents. Members will also have the ability to network and communicate with other instructors across the globe and attend live Instructor Pannels where the lead instructors will answer your questions! Pay month to month for full access to the membership platform. Option to cancel your membership at the end of your monthly billing cycle. About $13.30 a month. Billed every three months for the full access to the membership platform. Option to cancel your membership at the end of your quarterly billing cycle. About $12.25 a month. Billed every six months for the full access to the membership platform. Option to cancel your membership at the end of your 6 month billing cycle. Best deal! Breaks down to $10.25 a month! Billed once annually for full access to the membership platform. Note: Membership fees are listed in US Dollars. If you live outside of the USA and wish to purchase a membership, please use this Currency Converter to see what you would pay. 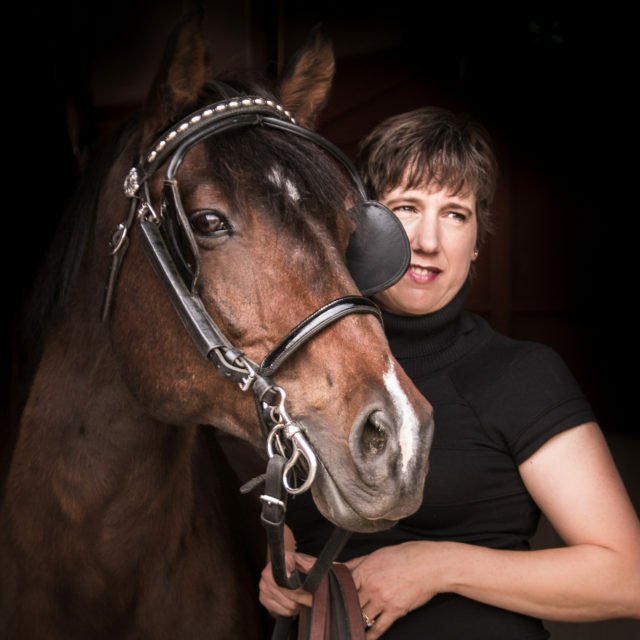 Michelle LaFleur has been involved with horses in one way or another since childhood. She started out showing her ranch bred pony, Chiquita, in 4-H as a Western rider. In college she expanded her experience by learning Dressage (classic form of riding). As an adult, she added Carriage driving to her repertoire. Currently she is an PATH Intl. Advanced Level Therapeutic Riding Instructor, a Level II Therapeutic Driving Instructor, and a Lead Evaluator for Registered Level Certifications and Associate Evaluator for Advanced level Certification testing. She has volunteered through PATH Intl. by serving three years as Colorado state chair, four years as Region 10 Rep., and 2 years as Oversight Committee chair. Currently she sits on the Driving Committee. She has presented at the PATH Intl. 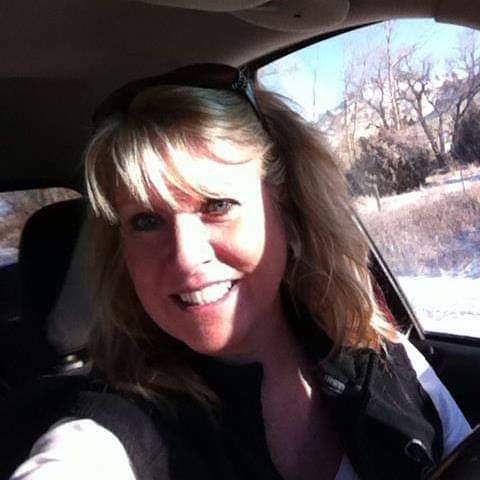 National Conference 2002 and 2015, Regional conferences (2004, 2006), and had an article in Strides (2005).She was employed at Colorado Therapeutic Riding Center for eleven years during which time she was the Equine Coordinator as well as an instructor. She has had her own facility since 2006 that integrates special need riders with traditional riding students. Saebra is a PATH Intl. Advanced Therapeutic Riding Instructor, ESMHL, Instructor Mentor, and Associate Faculty/Evaluator for the Registered Instructor process and also holds certifications through CHA (English, western, jumping). She is a lifelong equestrian who discovered the wonderful world of Equine Assisted Activities and Therapies(EAAT) in early 2009 when she began volunteering, and later completing a college internship, at a local therapeutic riding center. In 2009 she obtained her first PATH Intl. Certification as a Registered Therapeutic Riding Instructor. From 2009-2018 she was employed at aPATH Intl. Premier Accredited Center and where she gained a well rounded background in the EAAT industry. conferences and state meetings with topics ranging from “Certification Readiness” to “Fitness and Fortitude for Program Equines”. Throughout her entire career in EAAT, Jenny has always worked to give the horses a voice by creating processes that track workload, record the weights/distribution of rider weight, analyzed nutrition and body condition, utilized alternative veterinary treatments, engaged animal communicators, hosted bodywork and Reiki trainings, as well as clinics from leading EAAT industry professionals who would train staff and improve the life of the horses. 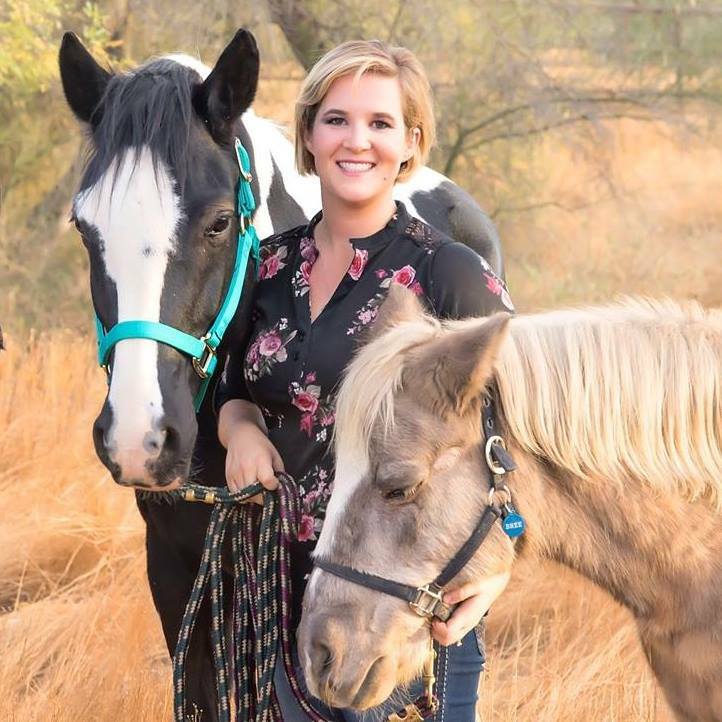 Now that Jenny has settled in Wyoming she continues to travel to teach workshops and conduct certifications, presents at national and regional conferences, and she has also started a small hippotherapy program named Ride and Shine. Amy Sheets is a PATH Intl. Master Level Instructor and Lead Faculty/Evaluator for Registered, Advanced, and Master level certifications and is a past chair of the PATH Intl. Riding Instructor Certification Sub-Committee. She has conducted workshops and instructor certifications across the United States and in Israel and has presented at many regional and national conferences. 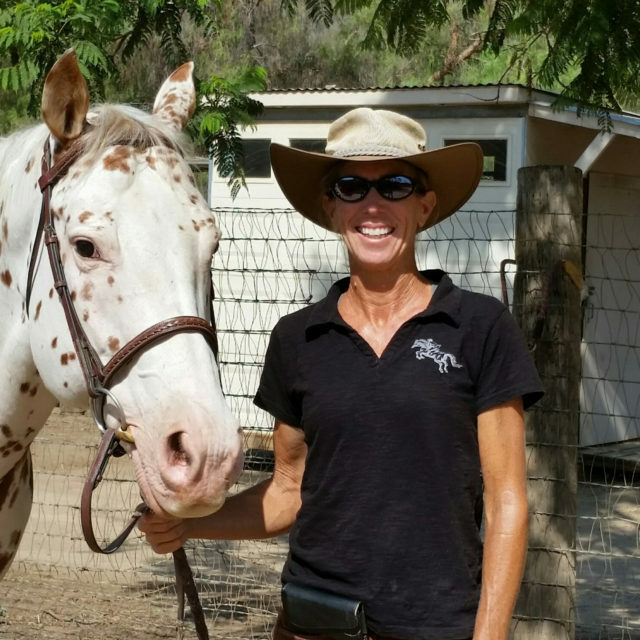 Currently, Amy has her own business, Hoofbeats Horse and Rider Training, LLC, operating in Bonsall and San Marcos, CA and she is a part-time therapeutic riding instructor at Ivey Ranch in Oceanside, CA. She is excited to share all that she has learned in her 30+ years of teaching both therapeutic and able-bodied riding.